There are some great restaurants along the Appalachian Trail. Ming's Chinese in Waynesboro and The Home Place in Virginia, for example. 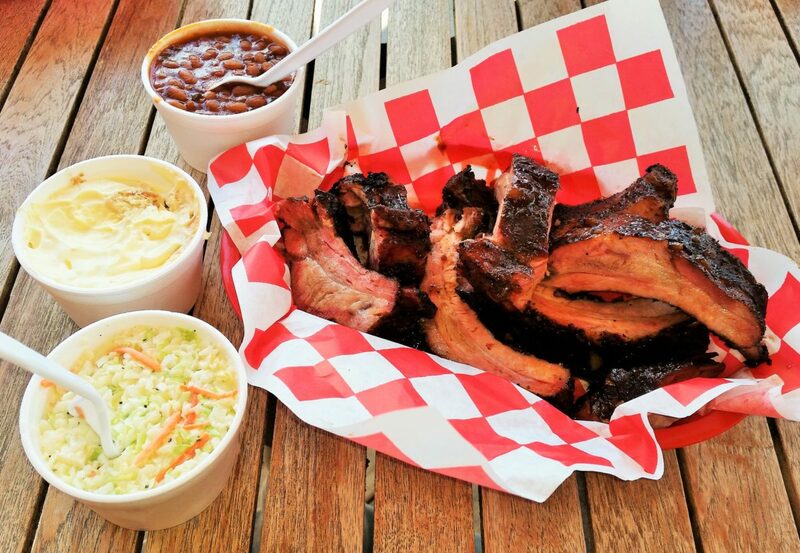 Please add Jim's Smokin' Que in Blairsville, GA, to the list. Jim's Smokin' Que is between Blairsville, GA -- an Appalachian Trail Community -- and Neel Gap at Blood Mountain. Folks say their BBQ is the best. That was hard to believe, so I went to Jim's Smokin' Que myself. My mouth is still watering from their delicious ribs, homemade beans and coleslaw, and real banana pudding. I devoured my meal as if I'd been on the Trail for a week. Jim and his beloved wife, Donna, know BBQ. Jim's Smokin' BBQ (ready?) smokes the ribs to perfection with local cherry wood and a time-tested rub of salt and pepper. Every table has three types of tasty homemade sauces too. This isn't fast food. It's fabulous pork, chicken and ribs prepared low and slow. Yes, you have to stand in line to order and it takes some time to be served, but you'll be among folks who are happy to chat in the meantime. Health inspectors gave them a perfect score of 100, but there's one thing that isn't perfect about Jim's Smokin' Que. They're only open from 11 AM until 8 PM Thursday, Friday and Saturday. You're a champion kick-boxer, climber, skier & long distance hiker. You lose a leg in an accident. Do you give up or follow Niki Rellon & hike the AT? Published Mar 30, 2016. In our "everything offends everybody" society, one group wants to ban April Fool's Day news stories. Unbelievable!